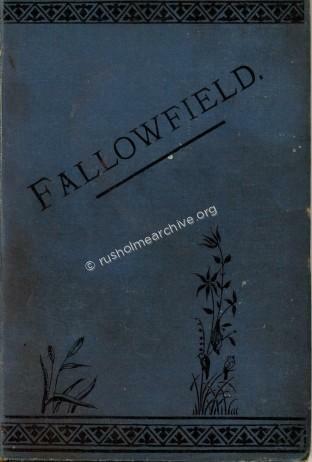 This little book, ‘Sketches of Fallowfield and the surrounding Manors, Past & Present’ was published in 1888. It gives a very interesting account of how Fallowfield developed from fields between Rusholme & Withington in the 14th century, gradually becoming a desirable neighbourhood with church, chapel & schools in the third quarter of the 19th century. There are three maps, 1818, 1843 and 1885 that illustrate the changes during these years. Mrs Williamson lived in Fallowfield with her husband, Professor William Crawford Williamson FRS. He was an eminent Victorian scientist who was appointed as the first Professor of Natural History (Geology, Zoology and Botany) at Manchester in 1851. Williamson was one of the great Victorian naturalists who knew and actively corresponded with Charles Darwin, Louis Agassiz, T.H. Huxley and other great scientists of the day. He also knew John Dalton and famously tended the great man during his final days, feeding him broth and other liquid sustenance. Williamson trained as a doctor and practised as an eye surgeon as well as pursuing his studies in the natural sciences. The photograph below is undated but is probably circa 1900. 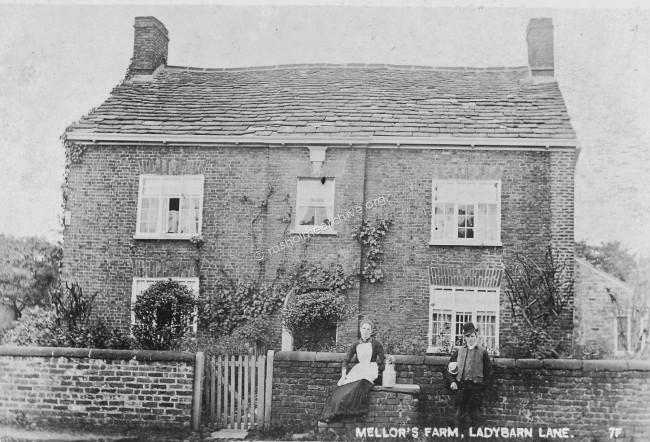 Mellors farm is referred to by Mrs Williamson in the her book on several pages. You can download the book to read by clicking on the link beneath, you will need Adobe to read the file after downloading.